Sixtus is a very sweet natured two year old gelding. Good in all ways. Excellent movement and should make a future ridden. European qualified. This gorgeous boy is available for sale to a good home. 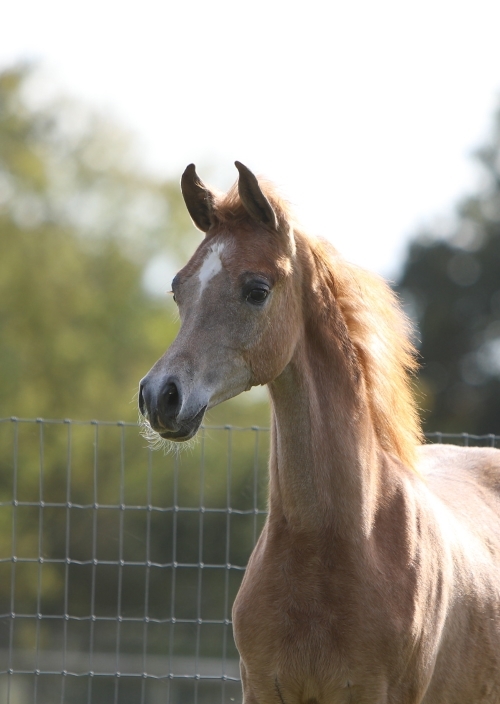 Nytro is 2 years old has Fantastic bloodlines and was bred by Andrea Taylor. He really is absolute quality with a stunning head and huge eyes. Now ready to go on and show would make someone a great potential ridden horse. Nytro has been very well handled been boxed and is good with the farrier, has a lovely temperament and easy to do. 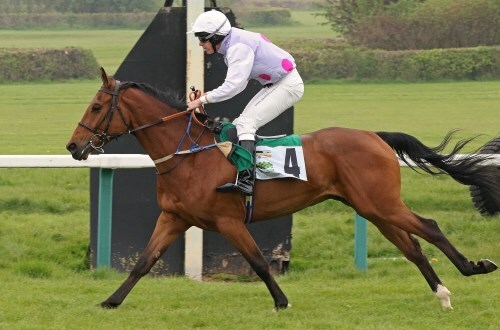 Wings of the Storm is a 9 year old gelding of 100% Crabbet breeding. The video demonstrates his great paces and love of jumping. He is currently at 90cm but with further training will make 120cm. He also has experience of cross country and dressage. 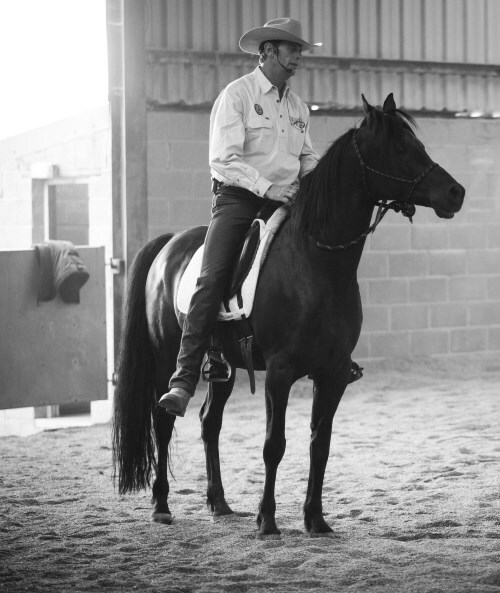 A striking horse who loves to work but one that prefers a confident rider. 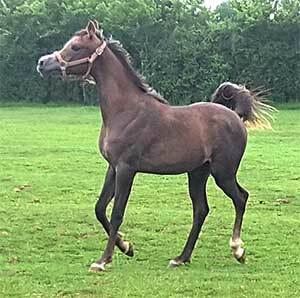 Flashy yearling gelding for sale! Liver chestnut with white/ silver mane and tail! Real head turner, good movement and conformation. Should make at least 15.1 hds. Out of a Versace daughter. Will make fabulous show or future ridden prospect. 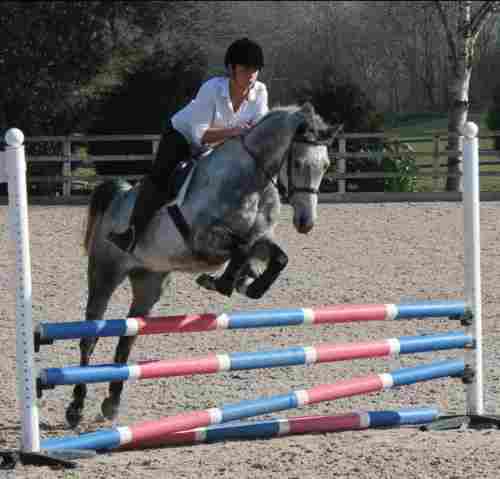 Picaro is a 15.1hh grey gelding rising 5 years, Registered on a Sport Horse passport and microchipped. He is well handled with an excellent temperament and very willing to learn. He has his own paddock so does not mind being take out by himself. Picaro is not fully broken but has done some ground work, been fully tacked up, box trained and walked out in traffic. He comes with 3 rugs and a full set of tack. 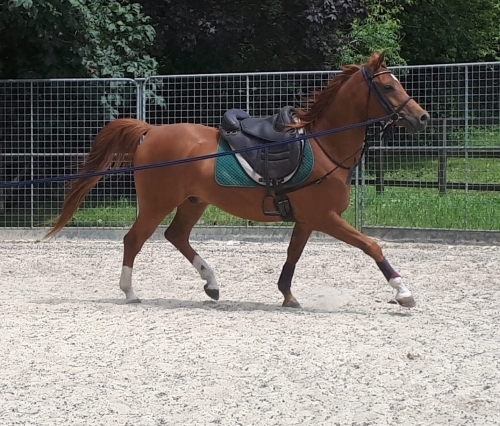 Very sad, reluctant sale of my wonderful if sometimes a tad grumpy Arti or to give him his full title Briery Artimus (Emir Ibn Nahaman X GHS Psydiva) AHS registered 14.3 Pure Bred Arab gelding. 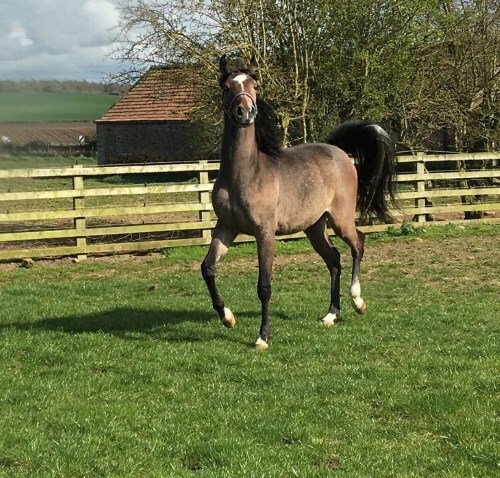 Flashy rose grey with correct conformation, flowing paces and dished head. Ideal for show, HOYS prospect, or endurance. Artimus has been well handled, backed, lightly hacked and then apart from the odd hack out last year he s been turned away, although he is still green has the promise of a sensible ride. He takes a lot of confidence from his rider so no good for novice riders. Rising 7 he is now ready for someone to take him forward and bring him on for a ridden or show career. 5* home sought for this lovely horse. For sale due to ill health. Leon loves to hack and be busy. He is 10 years old. Sadly because we haven't been able to do that he's getting grumpy so it's not fair to keep him. He's forward going and brave. He s'15.2hh, beautifully put together and currently doing everything unshod. We worked hard together last summer attending Light Hands Equitation clinics, where he was introduced to being ridden in a rope halter and behaved brilliantly in an open field. He's snaffle mouthed, no flashes or gadgets needed. Passed a 5 stage vetting with flying colours last April. Rising 4 year old 4TH June. Will make 15.2hh. Ready to start some work, very striking easy to handle. Beautiful dished head with great length of neck excellent confirmation with great attitude. Reducing stock due to ill health. Looking for a forever home for this lovely boy who is full of character. Has only ever raced. May be suitable for endurance. Todd is 14 years old sound and well. No schooling as far as I am aware. Only for sale as no more races available in his class. Good to box and with the farrier. Not a novice ride. Worming, teeth and injections upto date. Future home will be vetted (must be in the UK) and references taken up. 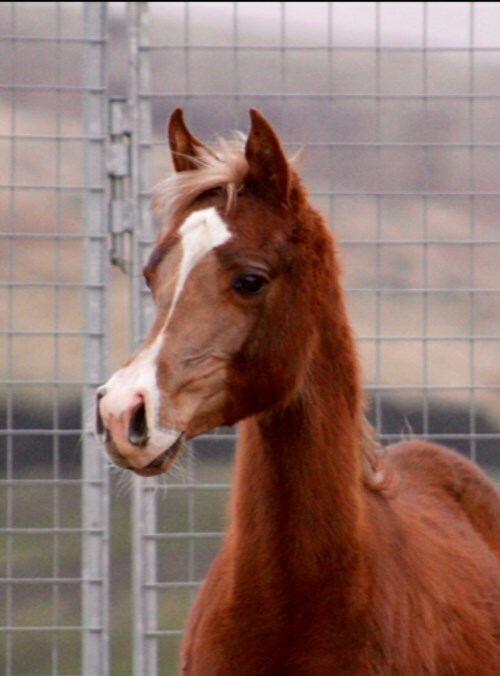 Homebred Arabian Race Horse with good lines to excel as a top Endurance prospect. Proven record with 4 wins and numerous close places in good company. UK ARO rating 90. Sure to have more wins. 7 yo (2012) 15.3 HH. Sound and vice free with lovely temperament. Presently on Winter break, ready to come back into training for 2019 season. Call / E mail for further enquiries, viewing. Halsdon Arabians Azure, by Eldon. Sadly offered for full loan after 13 amazing years together due to buying two other horses and now I just have too much of a collection to cope with. Azure is 22 but going on 12 and he is a real show off but the most gentle kind sweet boy you could ever meet. He's done well with riding club shows and dressage tests but now prefers to hack out. He will still win any class with ease though and won the veteran class in the foreign breeds last year. He is an absolute sweet heart and has never put a foot wrong! I'd never sell him but would allow for him to go on full loan to the right person for the rest of his days and be as appreciated and loved as he had always been. He's been used to really nice yards and is a princess pony so please only serious enquiries that can offer 5 star home! 6 year old 16h+ Arabian Gelding. No scars or vices. Barefoot. Lovely temperament and manners to burn. British National Champion Novice Ridden Gelding and Bronze Overall Novice Champion 2016. 1st Junior Novice geldings, Best British National Champion Novice Geldings. Gold Novice Ridden Champion at the Classic C Show 2016. Silver Open Ridden Champion at The Showing register 2016. Class winner at the Northern C Show. Bronze British National Champion Gelding 2015. Gold Champion at North Staffs C Show 2015. Class winner and tied for Bronze UKIAHS 2015. Silver Champion at NWAHO 2015. Silver Champion at Midland Festival 2015. 2018 gelding weaned and well handled. Sire is 2018 Paris class winner by Marajj. Dam outstanding mover of Spanish Egyptian lines. Carries himself in beautiful outline at all three paces. Will show in hand and then take you to HOYS ! 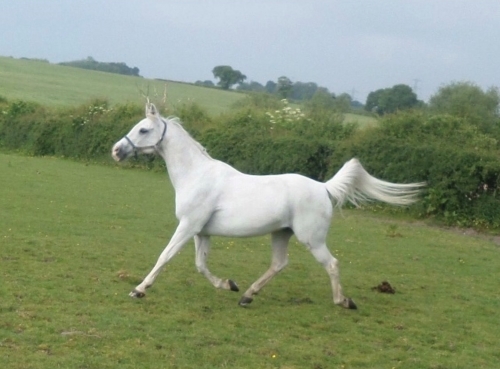 Stunning registered pure breed Arabian bay gelding, up to 16hh. Brought for endurance but due to health issues I can no longer ride. He has done everything from winning 40k rides to showing and showjumping. He is undoubtedly a true safe allrounder that needs the best of homes. Perfect to shoe and clip and loads. Never been sick or sorry.Can live in or out with geldings and mares. He has a low heart rate so he is a great prospect for the endurance world. 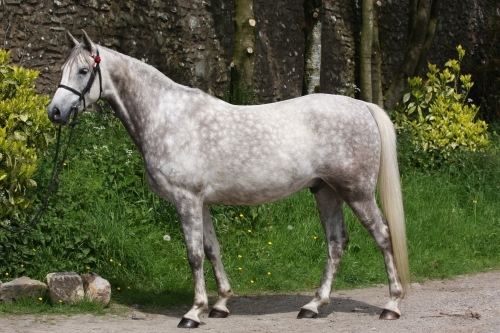 Sultann: DOB 17th June 2010 and is 14.3hh AHS registered, micro-chipped, good with the farrier (trims) and good to load. Sultann is high percentage Crabbet and is a real gentleman. He has a fantastic temperament, loves to please, is very responsive and he listens. He has very good conformation and is a super mover. He has been long reined in tack, lunged in tack lightly broken to saddle and has been ridden both in the paddock and out on the lanes and has been fantastic and so far he has not put a foot wrong Sultann will gain in confidence the more he does, and he is proving to be quite keen but responsive and has not been silly or nasty. Has the right attitude to work but just needs bringing on. When out on the lanes he has met light traffic and although wary he was thoughtful about walking past them. The more he meets the better he will get. He has been bathed and hosed down as well without any problems. 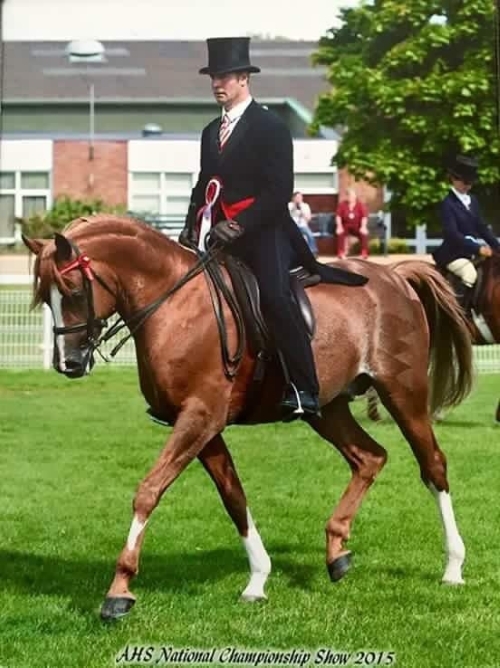 Sultann s sire Daas is by Imad, a ridden champion at all the major shows and a HOYS Champion was. 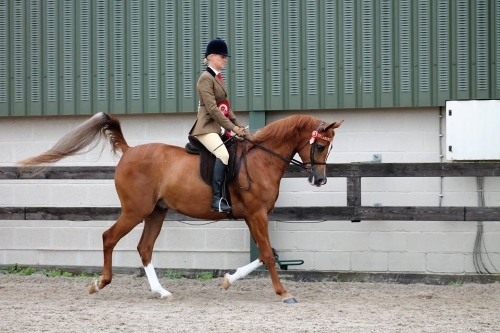 Daas has always been highly placed when shows in hand and was Champion Crabbet Stallion in 2007 at Belvoir Castle and reserve Champion Crabbet Stallion in 2009 at Malvern. His dam, Summertime Blues was very kindly leased to us by Mrs Rosemary & Miss Elizabeth Archer. She has produced some wonderful offspring who have done very well in hand, under saddle and in endurance. Al Waha Arabian Stud Ltd.
Lovely nature, easy to shoe, clip, load and travels well. Has done some endurance which he enjoys and lots of hacking. He is not good in heavy traffic and can be spooky. Looking for 5 star home for this beautiful boy. No novices please. Unique opportunity! This stunning 9yr old is currently working at adv med with established changes and has started tempis.Has some BD points but is eligible for all levels. Hacks out on his own or in company, he has a fabulous loving temperament, and is easy to do in every way. Not suitable for a novice rider as can have the odd spook. Has done some ridden showing as a youngster, mainly done dressage since. For sale only to the right person, will consider loan with view to buy, but must stay at current yard till sold. 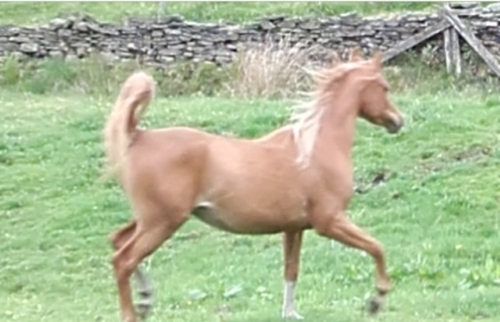 Pure bred Arabian chestnut gelding 15 hands 4 years old very well handled out of prize winning parents sire has been exported I have his dam and sister so both can be seen. Superb movement and temperament ready very willing to learn would excel in any sphere. 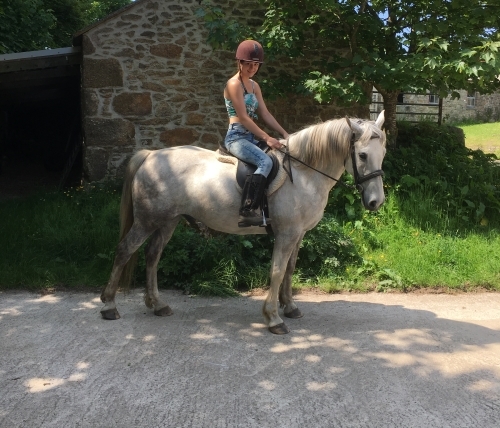 Handsome Grey gelding good in all ways fun safe ride alone or in company. Has never bucked, reared or bolted. Professionally produced and bred by myself, dam and sire can be seen also. 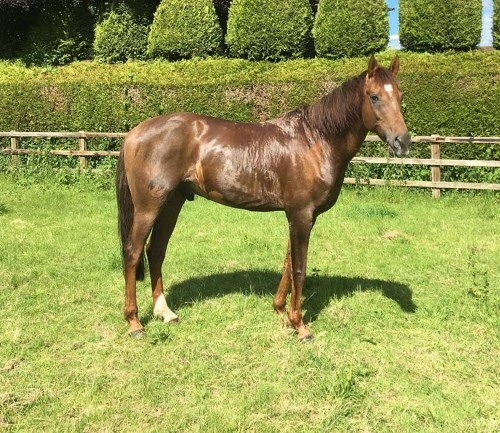 Jump ahead of the queue and secure for yourself this superb 2yo chestnut gelding by the amazing 2018 WAHO champion Mukhtar Ibn Eternity. Like his sire, Wizard has impeccable comformation, great beauty, and the most easy and affectionate nature: he will come across the paddock simply to greet you. Lives out with mares 24/7 but equally happy to be stabled. Fully vaccinated and lovingly and expertly reared and cared-for. Will mature to 15hh. Of show quality and with his happy, co-operative disposition, Wizard has potential for everything - perhaps he will even walk in his sire's hoof-steps! 6 year old well bred gelding looking for a home to keep him occupied. Not backed due to my lack of time and interest in showing in hand. Was bought to be a future stallion but decided he wouldn't cope with that so gelded last November and is currently turned out with 3 other geldings. Lives out or is good in the stable. Does have a small sarcoid on his left peck won't affect ridden work. Would make a great endurance horse, getting bored here, sensitive horse looking for a quiet and understanding owner. Up to date with vaccinations. Backed and currently being hacked out alone and in company. Nile Shadow is very sensible, has lovely paces and has a great future in any sphere. Following his great success as a ridden stallion, due to a change in our breeding policy, he has recently been gelded and is now available as an outstanding ridden gelding prospect to a five star home. Eldorado was born in 2008. 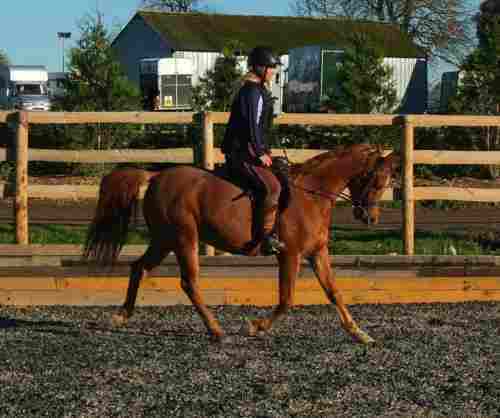 Stunning 4 yo chestnut gelding of eye-catching quality combining elegance with substance. Absolutely straight action and lovely length of rein. Suitable for serious performance like many of his siblings and half-siblings. Lives in or out and with mares or geldings.Available at ridiculously low price as my farm is sold and I have to move. Fully vaccinated and regularly wormed and feet trimmed. Raised with love and care and deserves a caring, loving, and knowledgeable home. Do come and see him. Heartbreaking sale of My beautiful little horse. Jack is a 10 year old 14.3 arab gelding. He is completely honest and genuine, but needs a confident rider as he can be quite anxious at times (never naughty or dangerous). With the right rider he is an extremely fun horse, forward going with lovely paces. 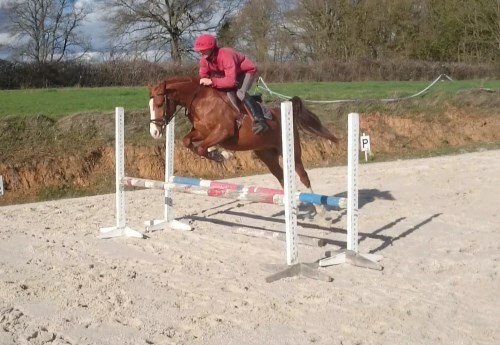 He has done local shows, cross country schooling, jumping and plenty of hacking with his last sharer. He hasn't done much for the last couple of months hence price. Would consider LWVTB, but I will only let him go to a good home. Secret Hassan CMK Arabian. 15hh 11yo. Only for sale due to change in circumstance. I've owed him from 4yo. Has has been a great all rounder mainly used for hacking out. We have competed showjumping which he loves. He's only to go to a knowledgable 5* home as he is a one person horse and can be quirky. He's good to shoe, box, load but needs someone to be patient with him. 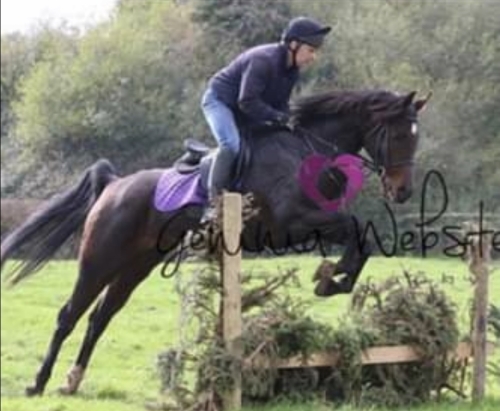 He hacks out great on his own and is used to heavy traffic but can also be a little spooky so needs a confident rider. He's been out of work for 6 months and he's just wasted sat in the field. Genuine enquiries only please as this is a very difficult sale.